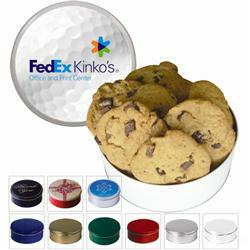 Custom Cookie Tins with your promotional logo - a great holiday gift. The Royal Tin is packed with delicious Chocolate Chip Cookies. There are 14.32 oz. of cookies in this tin. 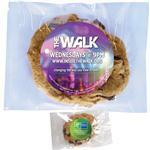 All of our cookies are all natural with no preservatives and sealed in foil bags to lock in freshness. They are baked to perfection to give you that crisp taste that only our old family recipe will provide. 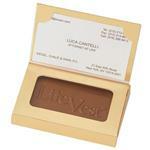 Each solid color tin comes with a one color screen imprint on the lid. You can add a 4-color process laminated decal on the solid tins for $0.75. The designer cookie tins come with a greeting card. Available Colors: Blue, Gold, Green, Red, Silver, White and Holiday Designs as shown. Production Times Available: 5 working days. RUSH AVAILABLE - PLEASE INQUIRE. Typical Imprint Area(s): 4 11/16 for decal and 3 1/2" x 5 1/4" for greeting card. Available Imprint Options: Color Print or Full Color Imprint - Inquire. Chocolate Chip Cookies or a mixture of Chocolate Chip, White Macadamia, Oatmeal Raisin and Triple Chocolate. Custom Cookie Tin. 16 carton / 26 lbs.